Our beautiful Essense of Australia gown “Sasha” , and Camilla Belles stunning blue gown. 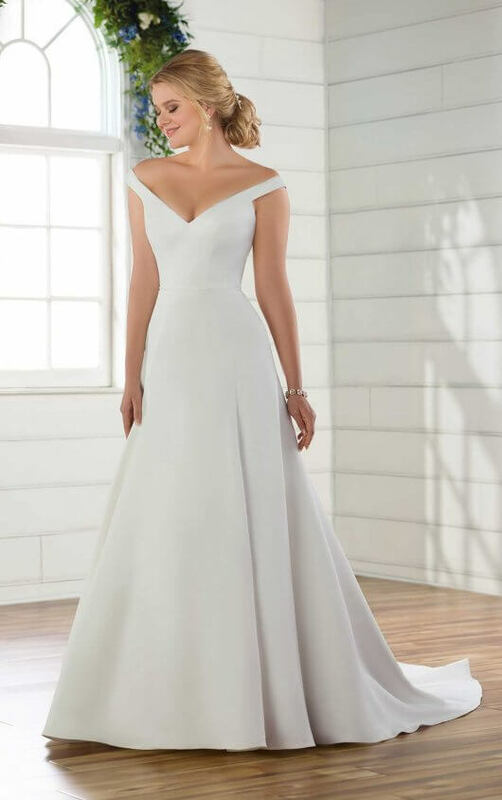 Both of these amazing dresses show off the wearers shape with a drop waist cut, which enhances the hour glass figure and is in this case, is perfectly balanced with the soft v neck. And last but not least, we have our fabulous bold lace dress “Connie” by Enzoani, up against Isla Fishers beautiful Monique Lhuillier lace gown. Two princess cut lace dresses, with strapless bodices and soft detail throughout. A perfectly classy princess dress! We hope you have enjoyed these as much as we did!